The landscape of today’s competitive marketplace depends on executives, assistants, and travelers being able to conduct business throughout the United States and the world alike. As political climates shift within the U.S. and abroad, corporate travelers are subjected to emerging policies that affect the ability to increase their presence across geographical and economic borders. Working with a corporate travel agency dedicated to supporting professional relations makes it easy to stay connected to new policies that affect how business is conducted domestically and internationally. Corporate travel agencies like Teplis protect companies of all sizes in ways that ensure their employees are prepared for any possible legislative development that may affect their ability to meet new clients or manage existing accounts. When it comes to partnering with the right corporate travel agency, it’s imperative to choose a brand that understands how emerging geopolitical and socioeconomic factors affect business relations. The right agency is one that is experienced at negotiating with premier airlines, can respond swiftly to sudden political challenges, and can ensure the protection of your assets and employees when traveling. Partnering with a premier corporate travel agency like Teplis connects you with experienced professionals who have direct access to a plethora of relevant resources. 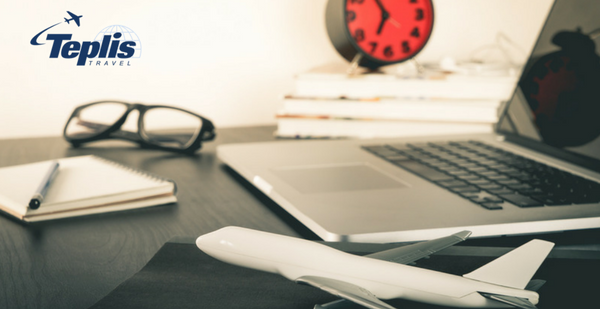 This means that professionals traveling for business are supported with the most credible information around flight paths, upgrade/cancellation details, luggage considerations or carry-on limitations, and other programs that help maximize convenience. There are plenty of corporate travel agencies that exist throughout the United States, but very few can take full responsibility and liability for their clients. Agencies like Teplis can obtain the lowest possible travel rates, educate their customers on new or developing policies, and maximize supplier discounts because of their relationship with premier vendors/brands dedicated to corporate travel. With established strategic partnerships throughout the world, Teplis can leverage existing models that offer travelers unique features that are available in over 40 key global markets. Selecting an experienced, accountable corporate travel agency that can help you navigate through developing geopolitical and socioeconomic policies is imperative for successfully conducting business within multiples locations. Teplis provides 24/7 education and assistance around new and potential legislation that affects how you relate or respond to your clients both domestically and internationally. Teplis Travel relies on premier technology to reduce risks associated with corporate travel and helps keep clients connected to their teams wherever they are located. Learn more about our experience, our online support services, and mobile phone applications by calling us at (800) 669-6547 today.